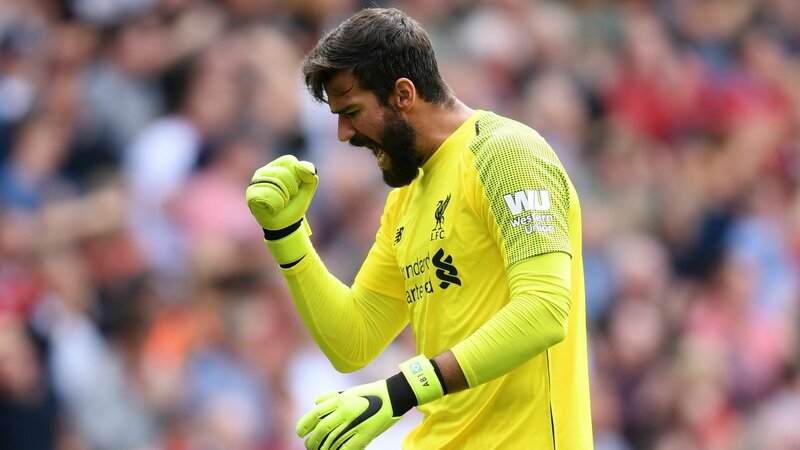 A charismatic atmosphere had been created by the Liverpool fans on Saturday’s clash against Bournemouth and Alisson Becker has rightly showered a brimful of praise over it. After two straight frustrating draws, Liverpool have come back to the winning ways as the Reds torn Eddie Howe’s side apart with a clinical attacking display. Liverpool’s in-form forward Sadio Mane broke the deadlock with a headed strike and the lead was extended by Wijnaldum with a beautiful lobbed finish. The third and final goal of the day was scored by Mohammed Salah which was assisted by Roberto Firmino with some stunning work in the visitors’ box in the opening minutes of the second half. Anfield’s atmosphere once again came under spotlight which was exquisite on that day and it was rightly praised by the Liverpool goalkeeper Alisson Becker. The Brazilian made some fine saves to keep a clean sheet on Saturday and took Instagram to praise the atmosphere inside the stadium. While according to Liverpool Echo, another Liverpool star, Andy Robertson was impressed with the aura created by Reds’ twelfth man inside the stadium. “It makes a huge difference. Some people go to the game and maybe don’t understand how important they are at affecting it but they are. “Even when we came out for the warm-up, it was a good reception and you could tell the fans were up for it. We were up for it already. We couldn’t wait to get out to get the warm-up done and get started. That’s the way it was. “I think everyone was really positive and hopefully that continues from now until the end of the season. Liverpool comes in action on 20th February as they host German Champions Bayern Munich for a mouth watering Champions League clash at Anfield, a fixture for which their head strong defensive commander Virgil Van Dijk is suspended. 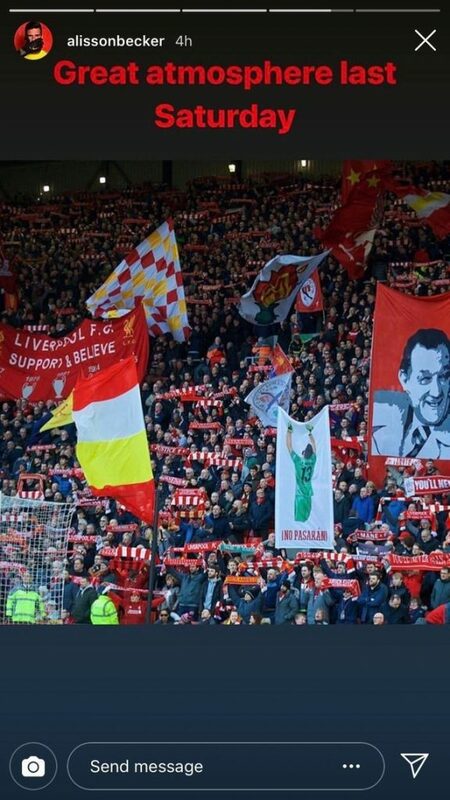 Anfield atmosphere has always created a difference and has always pushed Reds for success. This year’s title is arguable the most fierce in Premier League’s history and Reds’ need to keep on going and going and retain an immense magnitude of consistency if they want land the Premier League title, the trophy which they are craving from almost three decaeds.